I have the announcement and dates for the French tour. I hope to see you at one of these stops. Vous pourrez écouter Jake Hinkson samedi 28, à 11h30 à la Chapelle de la Trinité puis à 14h pour l'enregistrement public de l'émission Mauvais Genre de France Culture, au Palais du Commerce, Salle Ampère. Jake dédicacera également son roman sur le stand de la Librairie Passages pendant le festival. - le 25 mars à la librairie L'Arbre à Lettres située rue Boulard à Paris. - le 26 mars à 19h à la librairie Sauramps à Montpellier. I'll certainly try to catch your tals in Lyon on the 28th. Looking forward to it. Safe travels. Thanks so much. Hope to see you there. Gréât article on David's blog! I Just had the privilege of being present at Jake Hinkson's first public interview for French radio. Well almost, as everyone was present including the public, but French radio had characteristically decided to go on strike this afternoon. All this took place in the chamber of commerce of the city of Lyon, in France, host to the annual prestigious crime and mystery book fair 'Quais du Polar', this weekend. Jake Hinkson's first two novels have been published in French this month and during a one-hour interview he provided background to himself, his passion for noir and his neo-noir novel 'Hell on Church Street'. It proved to be a fascinating conversation centered around the role of religion in Jake Hinkson's version of noir. Within its context of Southern Baptism, Jake showed how his trilogy of noir books link the sin of crime with 3 different stages in the arc of religious observance, from professional opportunistic religion, through the heart-felt search for true religion to the final point of religious fanaticism. The French public was clearly mesmerized by this rare insight in the lesser known aspects of life in the southern US. 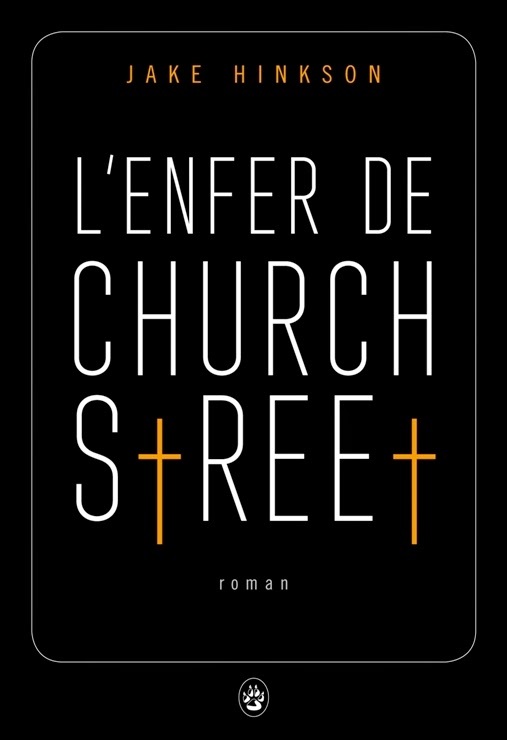 If their applause was anything to go by, 'L'Enfer de Church Street' should become a smash hit at French booksellers! So great to meet you, Michael! Thanks for all the kind words! THE BLIND ALLEY is here!